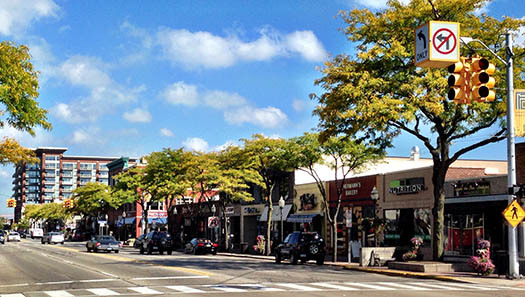 While there are many individual questions about starting a business in Royal Oak, below are some departments that are commonly visited by people thinking about opening a business here. The below links are some of the most often visited by prospective new businesses. SCORE is a nonprofit association dedicated to educating entrepreneurs and helping small businesses start, grow, and succeed nationwide. SCORE is a resource partner with the U.S. Small Business Administration (SBA), and has been mentoring small business owners for more than forty years.SCORE also provides local workshops and events throughout the country to connect small business owners with the people and information they need to start, grow, and maintain their businesses, as well as online workshops available 24/7. SCORE provides resources, templates and tools to assist entrepreneurs in developing tools and plans they need to navigate their way to small business success. This statewide procurement database connects businesses to billions of dollars of opportunity to help them expand their supply chains, identify new opportunities and provides free or significantly reduced legal, accounting and web services. Oakland County's business consultants offer free assistance to Oakland County-based companies with the development of feasibility studies, business plan refinement, and locating appropriate level financing. A list of upcoming workshops can also be found on the site. Royal Oak is the latest municipality to establish a Property Assessed Clean Energy Program (PACE) in the State of Michigan. Under the program, commercial building owners may voluntarily assume a special assessment on their property tax bill to finance energy efficiency, water efficiency, and renewable energy projects.